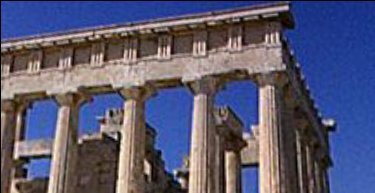 The Ancient Greeks recognised three distinct orders – the Doric, Ionic and Corinthian – to which the Romans added the Tuscan and the Composite. Of the Greek orders the Doric is the most squat, with a round capital and no base. 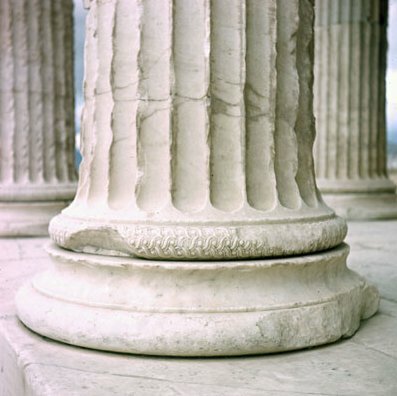 The column has 20 grooves or flutes and above the square abacus the entablature consists of a smooth lower section with alternating triglyphs and metopes above. 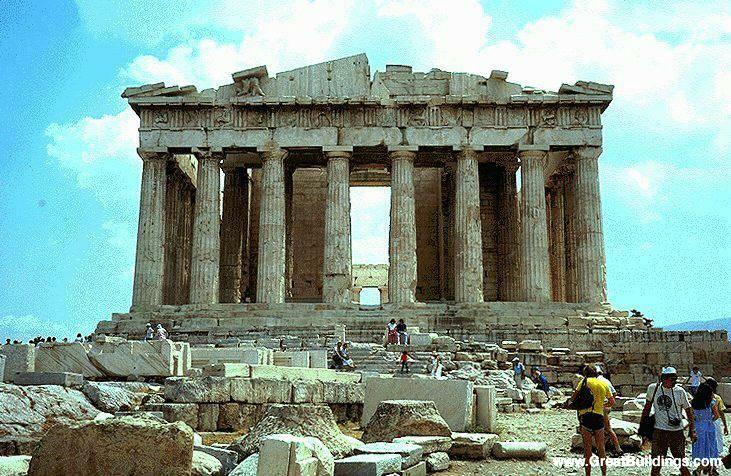 The triglyphs consist of three vertical bands and the metopes are relief sculptures. 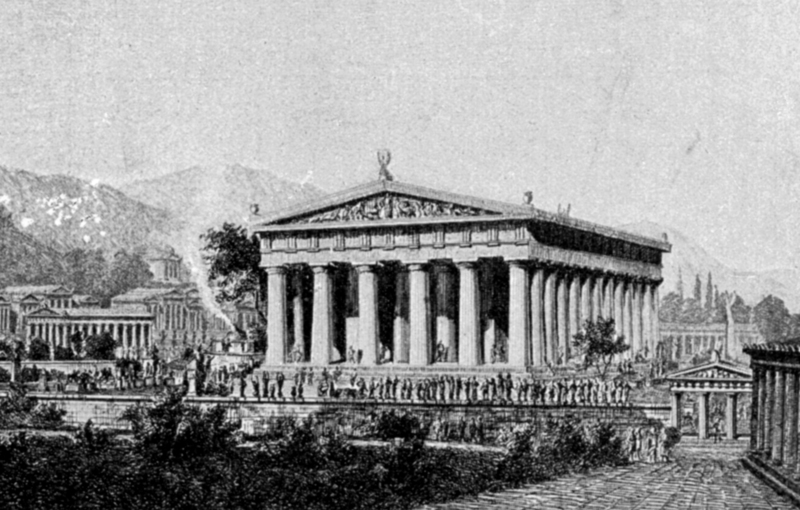 Imagined reconstruction of the Temple of Zeus, now destroyed. 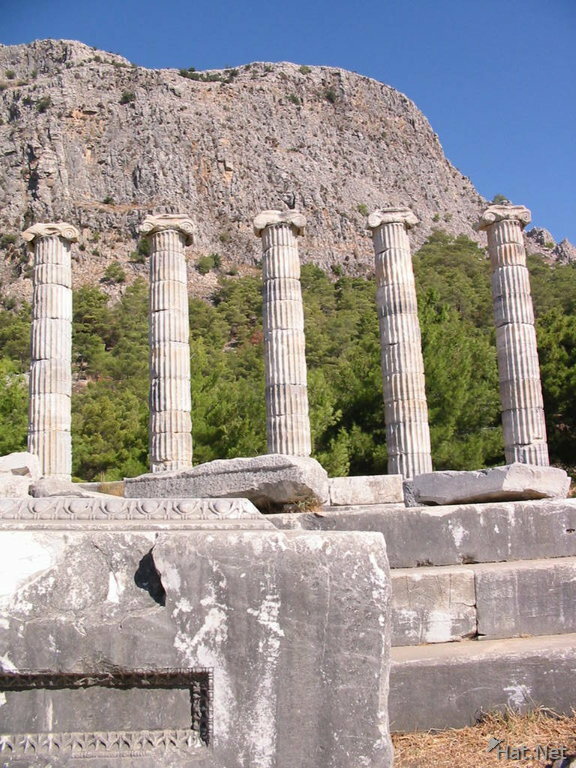 A portion of the classical temple to Artemis at the site of Sardis in western Turkey. 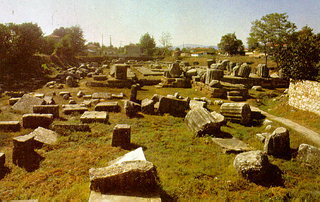 This city, once the capital city of the Lydian Empire became the Persian capital of Asia Minor after the defeat of the Lydians by the Persians in 546 BC. The cliffs in the background show where the ancient citadel was once located. 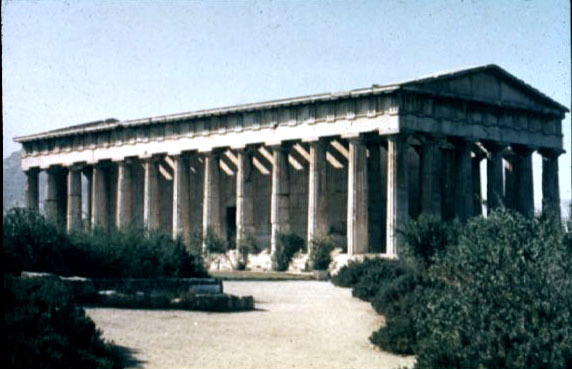 Slide 35: Temple of Apollo, Bassae, Corinthian cap. 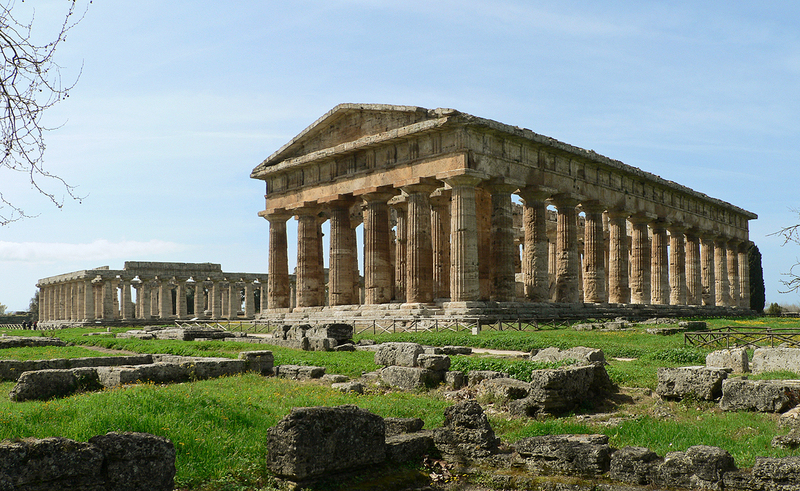 It is the first nearly complete temple still surving, with for the the first time, all three architectural styles: Doric, Ionian and Corinthian. The temple was erected on a raised area, 1,131m, called the ‘Bassai ‘, meaning little vale in the rocks. 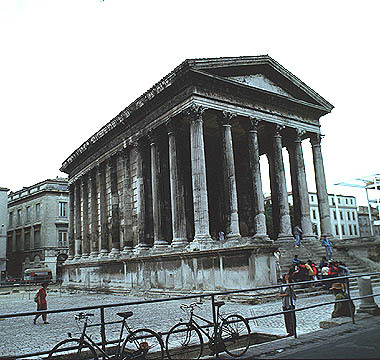 It is a Doric peripteral temple made from local limestone, and consists of a prodome and a cella. It is orientated north to south. 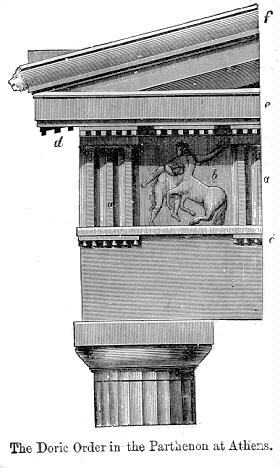 In the cella there was a column with a corinthian capital, which is the oldest known example of its kind. 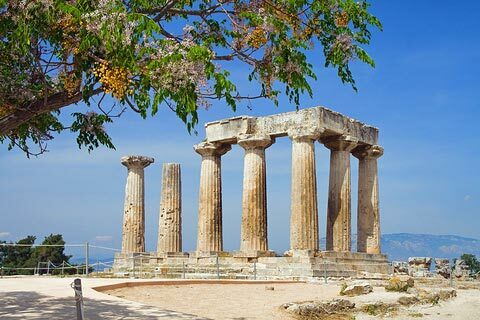 The temple was decorated with a marble sculpted frieze depicting the battles between the Amazons and the Centaurs. 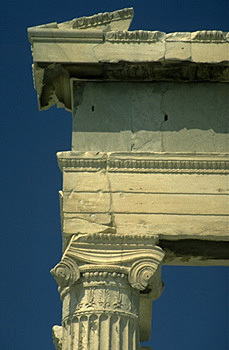 The frieze ‘s marbles have been looted by the British and can now be found in the British Museum. The Tempietto (1502) was designed by Donato Bramante, one of the greatest architects of the Italian Renaissance. The building, with a domed rotunda and surrounded by columns, was commissioned by Ferdinand and Isabella of Spain to commemorate St. Peter’s crucifixion. It is located in Rome, in a convent called San Pietro in Montorio.